PUNE: The Bharti Vidyapeeth police have arrested a 50-year-old man and his wife from Jat taluka in Sangli district for pickpocketing in buses. The police recovered 202 grams of gold ornaments worth Rs 5.74 lakh from the couple. The suspects – Vinod Salunkhe (50) and his wife Shyamala (46), currently residing at Upper Indiranagar - constructed a house in their native village in Jat taluka and have been operating in Pune as well as in Karnataka for the last few years. 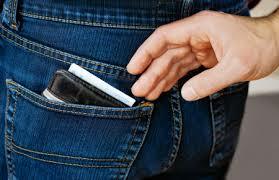 The police have now detected five cases of pick pocketing. "They have constructed a house in their native village in Karnataka with the money they had collected through pick pocketing," sub-inspector Shivdas Gaikwad said. The officer added that Kamal Vakurdekar, a resident of Junnar taluka, lodged a complaint with the Bharati Vidyapeeth police stating that when she was travelling between Pimple Gurav and Dhankawadi in a PMPML bus, unidentified persons stole her gold chain and Rs 1,000 from her purse on November 11. "While probing the case, we received a tip-off that a couple, who are involved in thefts in buses, were at a bus stop near Bharati Vidyapeeth. We laid a trap and took them into custody," Gaikwad said. Gaikwad said that the husband and the wife used to travel in crowded PMPML buses mainly on routes in Katraj. "After identifying the victims, the couple used to stand near them. Shyamala used to open the purse without the victim's knowledge and Vinod used to keep watch on other passengers," Gaikwad said. The officer added after stealing valuables, the couple used to deboard at the next stop. "We have got information that they are involved in thefts in Karnataka too," he said.